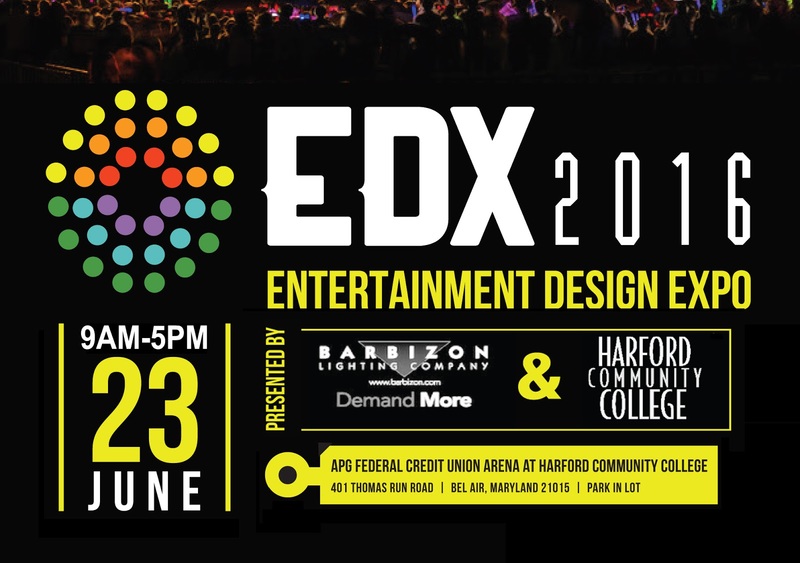 Harford Community College is proudly partnering with Barbizon Capitol to sponsor the 2nd annual Entertainment Design Expo (EDX) Thursday, June 23rd, 2016 from 9 AM-5 PM at the APG Federal Credit Union Arena at Harford Community College in Bel Air, Maryland featuring national and international manufacturers and representatives for a day of exploration and education in entertainment technology. Whether you work, or just have an interest in the technical side of theatre, television/film, house of worship, museums, or a themed-environment EDX is the place to see the latest technology all in one place. 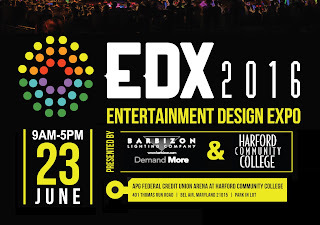 Expanding since its first year, EDX has grown from 13 vendors to now filling up the APG Federal Credit Union Arena with 32 of the most knowledgeable companies in the entertainment industry.